Galley proof or off print of a single column. In fair condition, heavily aged and on brittle high-acidity newspaper stock. Headed: 'Rules for the Game of | Minims | reprinted from | "The Weekly Westminster." | The announcement in The Weekly Westminster Competitions of a prize for a new parlour game, suggested to Mr. Kapp that there was a game to be made out of Minims, a little book published by Faber and Gwyer a few weeks earlier. Mr. Kapp entered the competition and carried off first prize. [ Simpkin, Marshall, Hamilton, Kent & Co., Ltd., London publishers. ] Illustrated booksellers' 'order form': 'A New Series of Children's Toy Books'. 8pp., 4to. 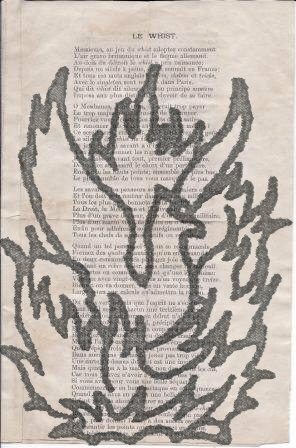 Illustrations of covers on every page. Stapled. 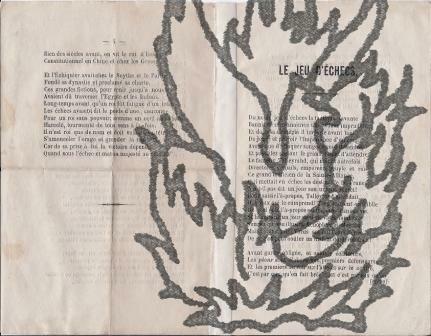 In good condition, on aged paper, with rusted staples. The cover (with a central photograph depicting the covers of eight titles) is headed: 'Order Form. | A New Series of Children's Toy Books. | The Publishers offer in this new series one of the most striking and original Coloured Toy Books ever published. They will please little children. | These Toy Books will command an immediate sale in any part of the country. They are not expensive.' In right-hand margin of cover: 'A Selection of 49 Titles'. Manuscript list of 'Xmas Toys 1879.' ordered wholesale, apparently for a hardware merchant. [1879.] Place not stated, but English (with the reverse headed 'Moorcrofts'). On a ruled leaf of laid paper detached from an account book. Dimensions 28.5 x 18.5 cm. Text clear and complete. On aged paper with chipping to extremities. One page, headed 'Xmas Toys 1879.' is filled with twenty-seven entries, beginning with '1 Gross 1/2 Flags 2 Gros 1/4 Candles [last word deleted] Flags' and ending with '1/2 Glass Toys. | 48 doz 1/2 Bird on Stand'. Other entries include 'Duck in Boats', 'Bird on Ball', 'Stag in Angle' and 'Glass Bird on Large Stand'. 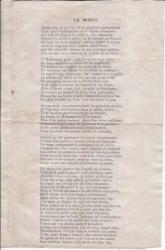 The reverse carries nine entries under the heading 'Moocrofts', the first being '504 6 Gross Shoe Plain 24/- 7..4..0'. London: John Camden Hotten, Antiquarian Bookseller, Piccadilly. 1859. 12mo: [ii] + ii + 390 pp. In contemporary quarter-binding with burgundy leather spine ('CARTES A JOUER' in gilt) and red paper boards. Top edge gilt. Binder's ticket of Bone & Son, Fleet Street. Tight copy, on aged and spotted paper, in worn binding with damage and loss to spine. 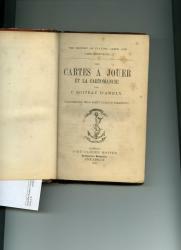 In French, with Boiteau's preface dated 'Juin 1854'. 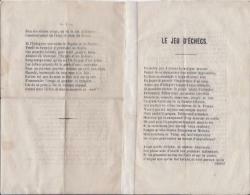 Evidently the sheets of the French edition, with Hotten's new title-leaf. An interesting and informative work, with attractive engravings in text by Coppin. Scarce: the only copies on COPAC at the British Library and the National Library of Wales. Engraving by Reynolds of Birmingham. According to the British Library Bisset's Directory was published in 1800. Paper dimensions roughly 5 1/4 inches by 9 inches; print dimensions roughly 4 1/4 inches by 7 inches. In very good condition although somewhat grubby. Paper watermarked '<179?>9 | TMAN'. At head of plate: 'M'. At foot of plate: 'Reynolds. Sct. Birm'.